R3D.Craft Resource Pack for Minecraft 1.12.2, 1.12, 1.11.2, 1.11, 1.10.4, 1.10.2, 1.10 and most prevous versions is a really popular Minecraft Resource / Texture Pack. It comes in different resolutions. Yo More over there are two types of "R3D Craft" available: R3D.Craft Smooth Realism and R3D.Craft Default Realism. 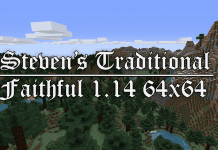 R3D Craft and Faithful 32x32 are pretty much the most known Resource Packs in the Minecraft Community. 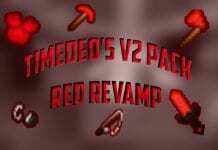 R3D Pack was made by UniBlue Media and is finally available for the latest Minecraft version, 1.13.2. Moreover it features full support for Shaders Mods. If you're looking for a minecraft resource pack that makes your Minecraft map looks more real and believable just try R3D, it might be the perfect choice for you. 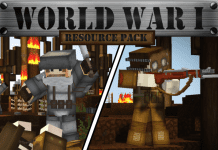 The R3D Resource Pack will increase your game experience. It gives the game a complete facelift with giving more shape, sharpness and smoothing to the right edges of many blocks. You will stay hooked onto the game more way longer than usual. Even the stone texture looks way more realistic than minecraft's default one. One of the biggest advantages of the R3D Resource Pack is that it comes in a very wide range of different resolution packages. For low-end computers you can use it with 32x32 Resolution. The R3D Craft Package for High End Computers is called "R3D Craft 512x512" and is meant to give you the best game experience possible. When used in combination with Shaders Mods it will make nearly everything in minecraft look better, especially your Buildings will look way more realistic. Moon and Sun are in round shape and a nice color look way better than in Minecraft's default texture set version. Cobblestones look like rocks, this is a huge increase in quality compared to Minecraft's default 16x16 FPS-friendly textures. 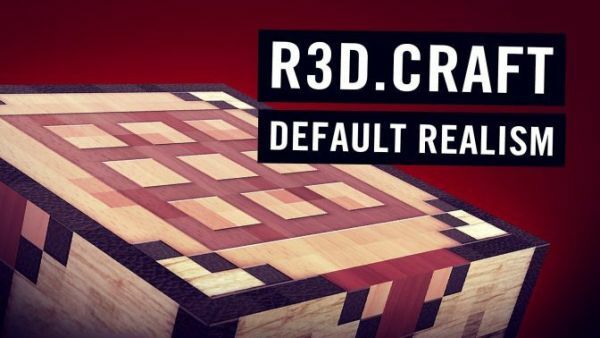 R3D Craft is offered in two versions, Smooth Realism and Default Realism. Moreover you can choose a resolution you want. The R3D.Craft Resource Pack totally changes the look of Minecraft to a high quality graphics game. Especially when used with GLSL Shaders Mod. 3. Go from “options” over “Resourcepacks” to “Open resourcepack folder”. 5. Drag and drop the Faithful 32x32 (.zip file) into the folder that just opened. 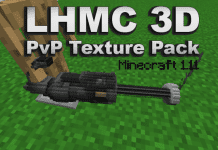 All in all one of the best Minecraft Resource Packs ever created. Good Job, Uniblue Media! Credit: Uniblue Media. 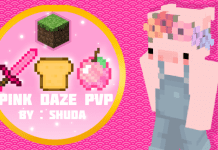 R3D.Craft Resource Pack for Minecraft 1.12, 1.11, 1.10.4, 1.10.2, 1.9.4/1.10 has been rated 5 Stars by Minecraft-Resourcepacks.com - Community rating is shown above! Thanks. We will be updating it soon. We’ll be updating it soon. Visit us more regularly for more new packs. Thanks.